Our Florida condo is small – well, it is fairer to say the flow isn’t very good, and it seems small. It is a bit under 1400 sq ft, and compared to our house in New York State, that is tiny. BUT! my first house was 1500 square feet (like to the square foot), and this place seems a lot smaller than 100 – 150 sq ft less than that house. So, this place seems tight, the ceilings are low, and since it overlooks the Atlantic ocean, the rooms seem narrow to accommodate more condos having a great view. So, as I mentioned before, it was easy for hubby to talk me into painting the whole place white to make it seem larger. But making it seem larger didn’t make up for the lack of storage space. Now the lack of storage wasn’t due to lack of closets – I swear there is as much closet space in this condo as there is in our home in New York! While none of the closets in the Florida condo are walk-in, they are all very long and standard depth. 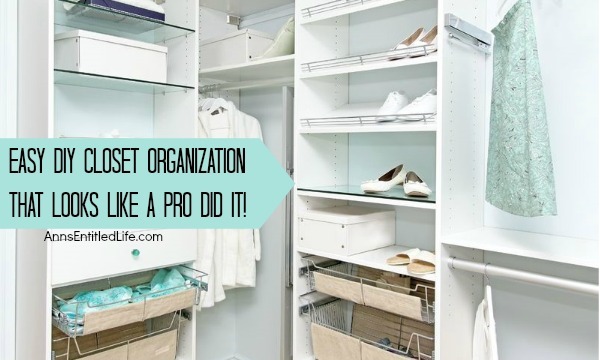 Lack of storage was due to useable organization in said closets, not lack of closet space! When we moved in, there was nicotine covered wired shelving in all the closets. Ewwww. We tossed nearly all of the wire shelving (and cleaned the remaining with ZEP Heavy Duty Foaming Degreaser – they sell it in-store too by the single can! This stuff was fantastic. It basically dissolved the nicotine in 10 minutes, I got a sponge to make sure it all came off, and rinsed. Easy peasy!) and decided we were going to install REAL closet organizer systems. 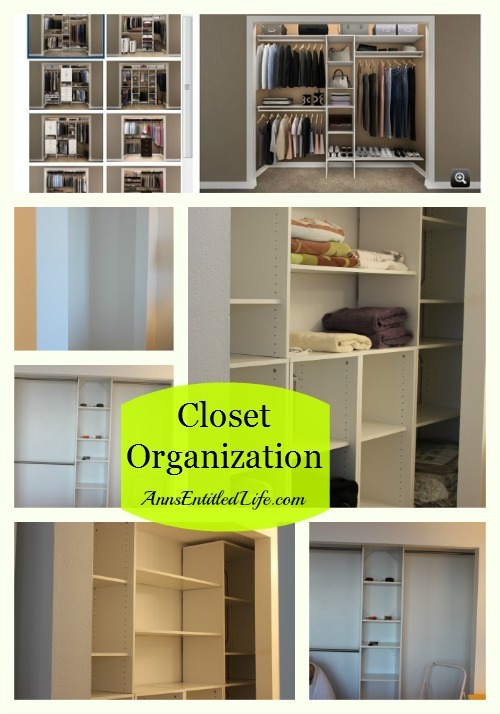 After painting the closets, we went on a hunt for good closet organizers! 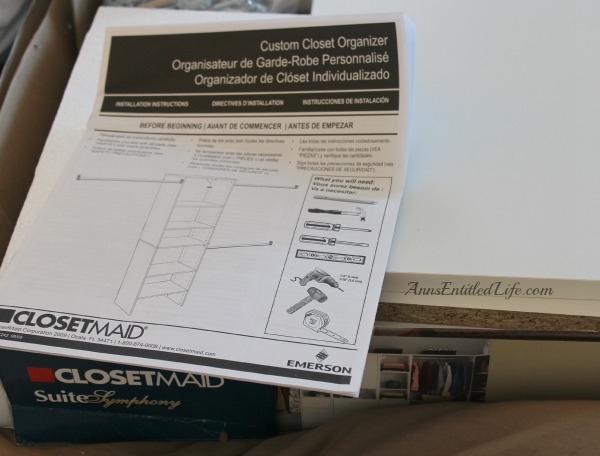 After looking around and weighing cost vs functionality, we decided on closetmaid. 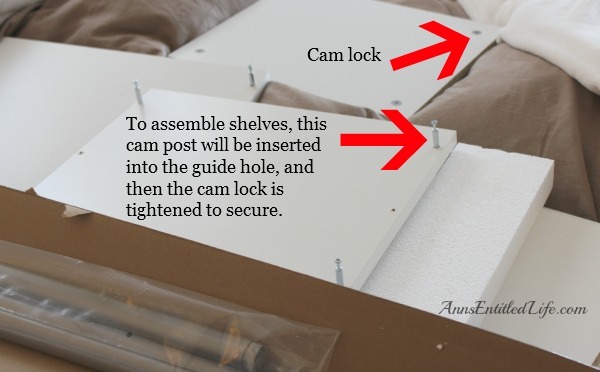 The ClosetMaid website has a DIY design feature that we took full advantage of! 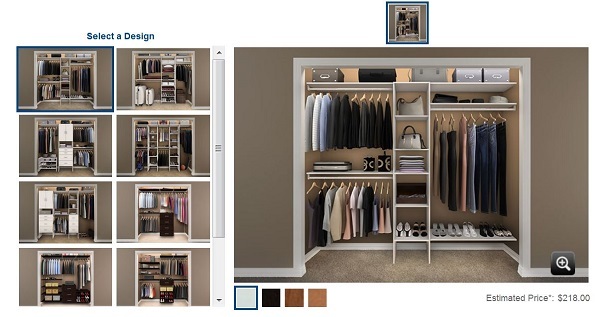 Hubby measured the height, width and depth of our closets, we chose bedroom closet, reach in, and we plugged our numbers into the closet system designer. Several choices were offered, and we made our design decision based on what we felt the best use for us and our needs, would be. The organizers come in heavy boxes, unassembled. Since my Hubby was an Ikea shopper in his single days, putting these together was easy for him! In the closet a lot of leveling was done so clothing wouldn’t slide off the shelves or down the poles. These are like a jigsaw puzzle to put together, and the instructions are pretty clear. 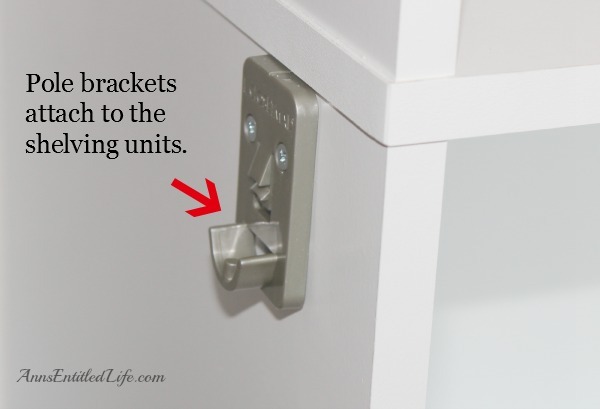 When it came to attaching the shelving inside the closet, brackets are used to hold it to the wall. Since you can’t always hit a stud, Hubby used molly bolts for extra support. 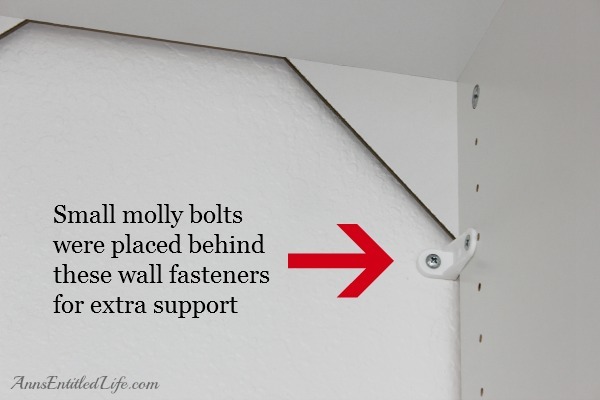 The closet rod brackets adhere to the shelving that is in the middle of the closet, and then extend to the wall. The bedroom closet has poles. We decided on one long one and two short ones as that would best suit our needs. Hubby also lowered the long rod a bit over the suggested height because the suggestion to me was crazy-high! And I’m not really short, I am 5’6″! Above that right side he also installed a shelf that I can reach. 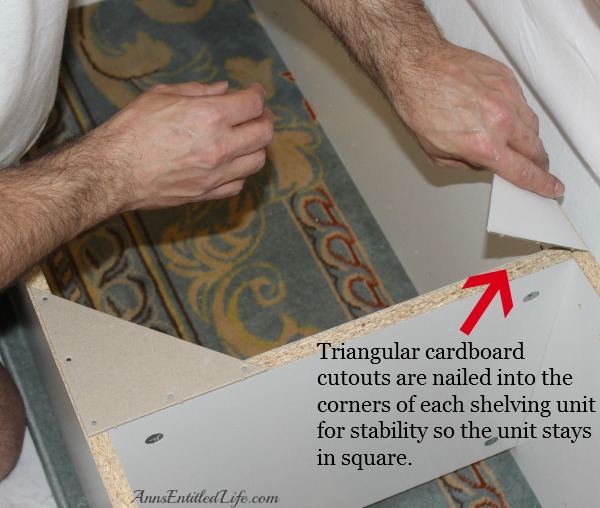 Note: The minimum wall height that will result in design options is 84″ due to the height of laminate towers and the standard placement of a top shelf. That gave us a bit of a problem in the bathroom closet since it is only 82″ tall. I wanted to turn it into a deluxe linen closet, so only wanted shelving in there. That meant stacking organizers on top of one another, which would bring us to 84″ in height. 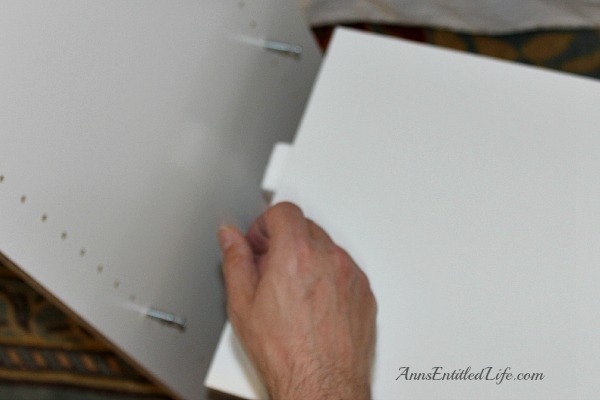 To fit the double organizers, Hubby had to cut the top one, redrill the holes so they would slide into the stacking-dolly, and lower the feet to the lowest possible (level) setting. We were going to put a pole in between those two shelving units, but in the end decided that the long shelves that came with the starter kits made more sense. 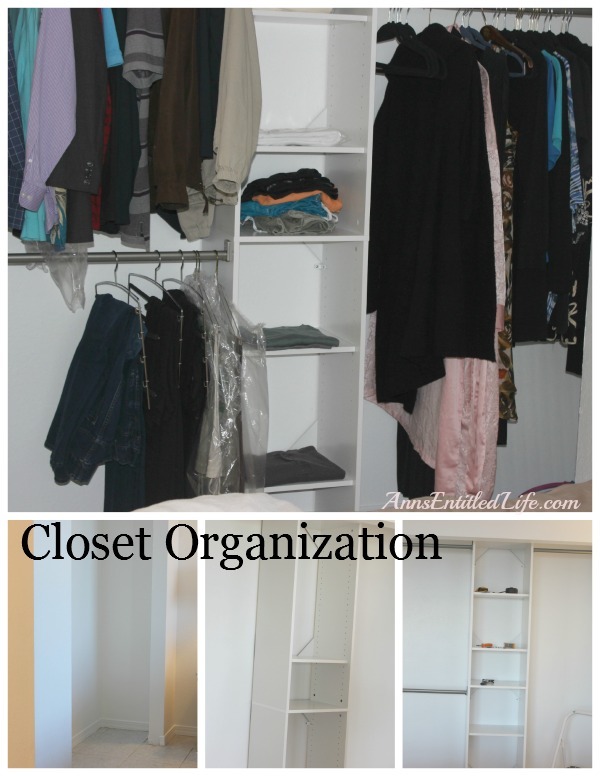 In the end it all worked out, and I am thrilled with the look and function of our closets now! • For more Ann’s Entitled Life’s Renovations, click here. Those look great Ann. I want to redo our closet, but so far I do not have hubby on board with the idea. Good luck with convincing him, Shell. These turned out so well, I want to redo all our closets in New York. Ummm Hubby may have something to say about that though. 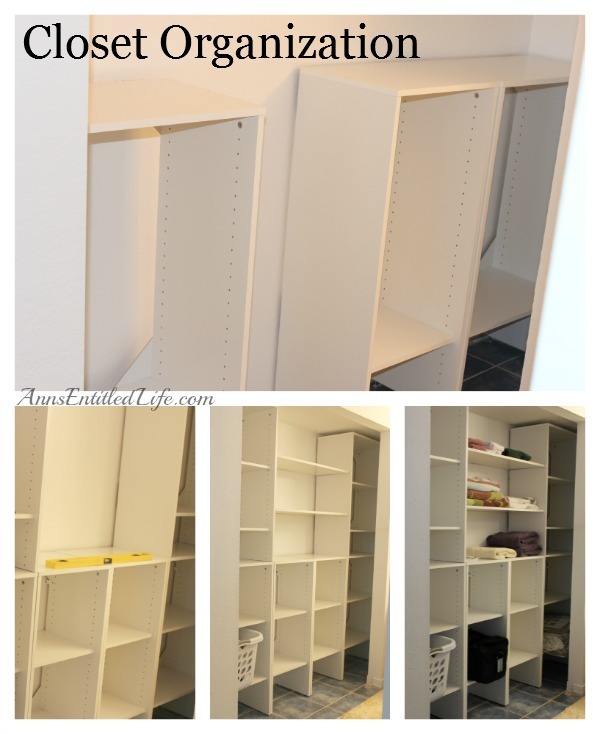 That linen closet picture would be a dream wall in my laundry room! Closet organizers are one of my favorite features in life.